If you haven’t noticed, boots are an all-time favorite footwear category here at the Who What Wear office. Why? They’re stylish and cool, but sturdy and oftentimes comfortable enough to wear anywhere from work to weekend errands. As a bonus, there are also plenty of affordable options, so you can save your money for equally important seasonal purchases (pumpkin spice lattes, anyone?). We’ve fallen in love with these 12 pairs, so be sure to shop them now. Scroll down to shop 12 under-$150 pairs that give their pricier counterparts a run for their money! The higher cut of these boots makes them perfect for tucking skinny jeans into. A block heel and metal toe detail give these boots a sleek look. These slip-on Chelsea boots are a classic that you’ll be able to wear for seasons to come. Finding a pair of knee-high boots at this price point is no easy task, and Zara’s structured pair nails the trend. These lace-ups have a collegiate feel that perfectly complements your favorite plaids. 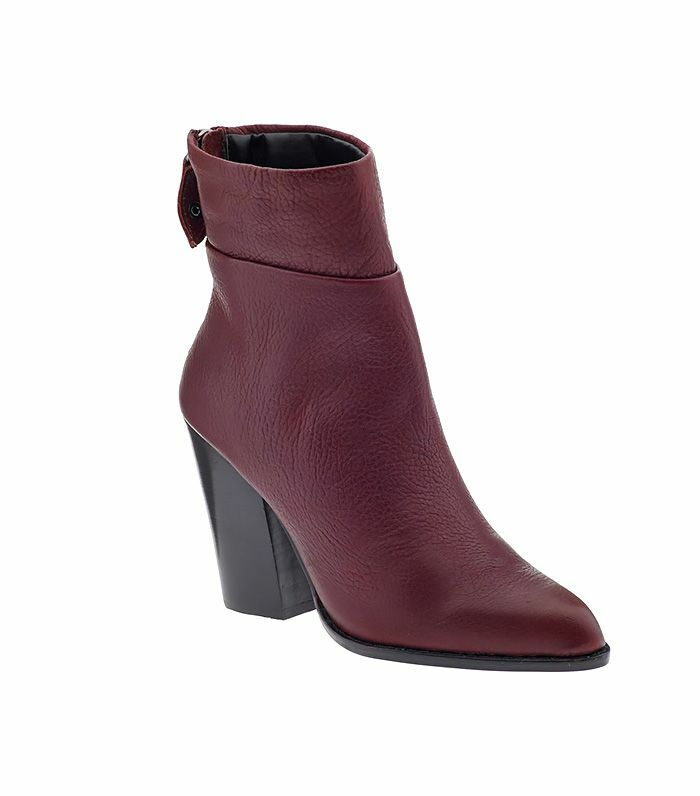 The combination of the oxblood hue and calf-hair texture makes these boots look especially luxurious. This is the perfect shoe for the early days of fall, when you’re not quite ready for a full-on boot. Pair these with a shift dress for an on-trend ‘60s-inspired look. Give your basic black boots a rest in favor of these ivory-hued stunners, which come in a simple, timeless silhouette. Throw on these cool lace-up boots with a leather moto jacket and black skinnies. Looking for an office-friendly pair? This suede option is elegant enough to pair with your blazers and pencil skirts. Dress up any outfit with these stylish boots, which feature gold hardware and subtle cutouts. How many pairs of boots do you purchase each fall? What styles are you loving this season? Tell us in the comments below!